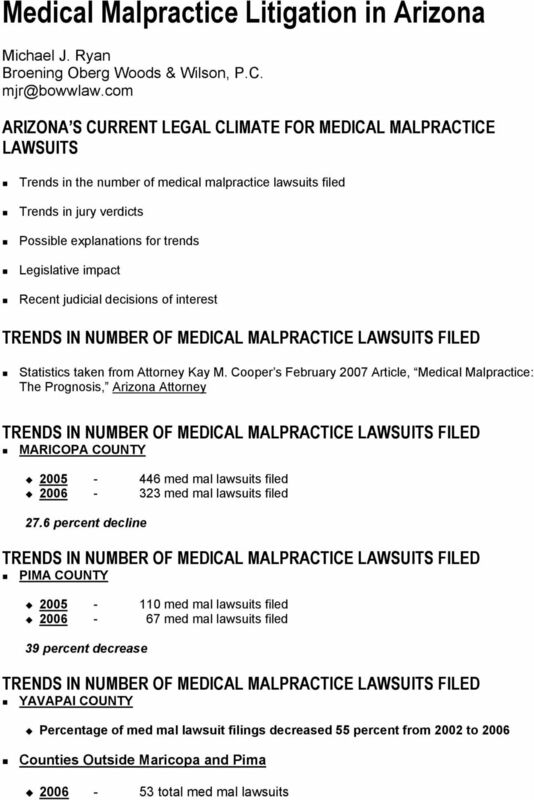 Download "Medical Malpractice Litigation in Arizona"
3 1 Plaintiffs verdict = $2.2 million Plaintiff s Verdict Case November, 2006 Plaintiff was Sheriff s Deputy Criminal intentionally ran over in line of duty Severe bilateral pelvic fractures ORIF surgery Went to client for rehab Alleged that client s nurse shoved up on side to weigh, and transferred to x-ray table by legs, causing hardware to displace Had re-do surgery, and after six months of rehab returned to limited work Wife was nurse at St. Joseph s At time of trial, back to regular duty with few limitations 20 percent total disability WC allowed into evidence RECENT PLAINTIFF S VERDICTS 06/06 - $5.8 million (Kidney transplant, Pulmon.) 03/07 - $5.1 million (Withered Leg, Orthopod) 07/06 - $3.5 million (Retinal detach., Hospital) 11/06 - $2.2 million (ORIF surgery, Rehab Center) 08/06 - $1.5 million (Elder abuse, Nursing Home) 03/07 - $1.5 million (Brachial Plexus, OB/GYN) 09/06 - $900,000 (Comp. Synd., Vas. Surg, Hosp.) 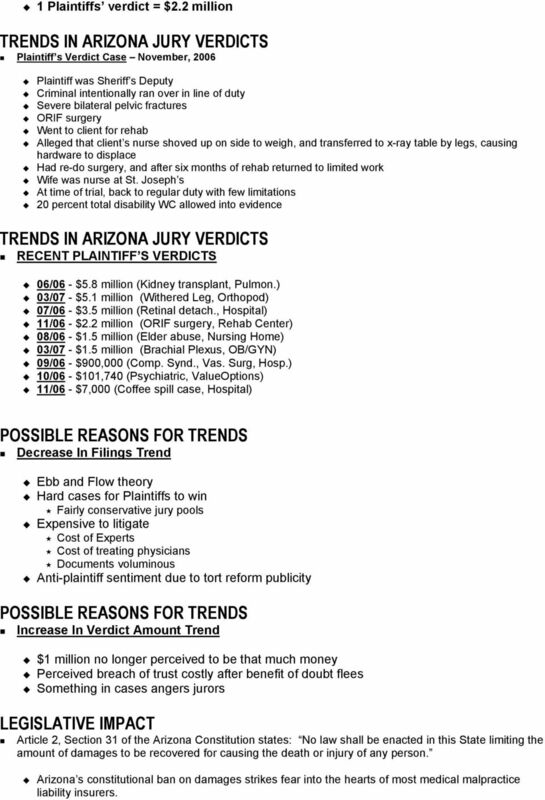 10/06 - $101,740 (Psychiatric, ValueOptions) 11/06 - $7,000 (Coffee spill case, Hospital) POSSIBLE REASONS FOR TRENDS Decrease In Filings Trend Ebb and Flow theory Hard cases for Plaintiffs to win Fairly conservative jury pools Expensive to litigate Cost of Experts Cost of treating physicians Documents voluminous Anti-plaintiff sentiment due to tort reform publicity POSSIBLE REASONS FOR TRENDS Increase In Verdict Amount Trend $1 million no longer perceived to be that much money Perceived breach of trust costly after benefit of doubt flees Something in cases angers jurors Article 2, Section 31 of the Arizona Constitution states: No law shall be enacted in this State limiting the amount of damages to be recovered for causing the death or injury of any person. 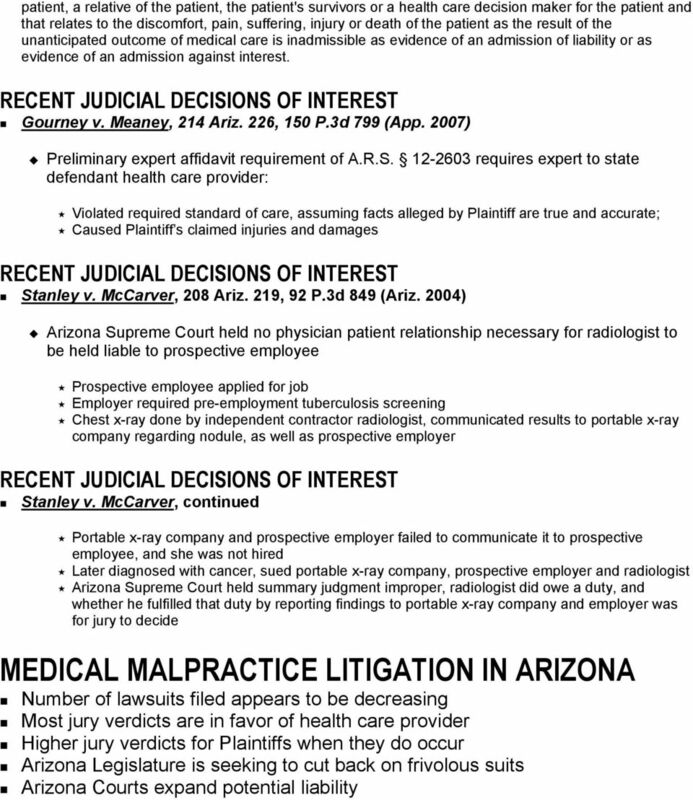 Arizona s constitutional ban on damages strikes fear into the hearts of most medical malpractice liability insurers. IT S OK TO SAY I M SORRY. Anything you say can and will be used against you in a court of law. 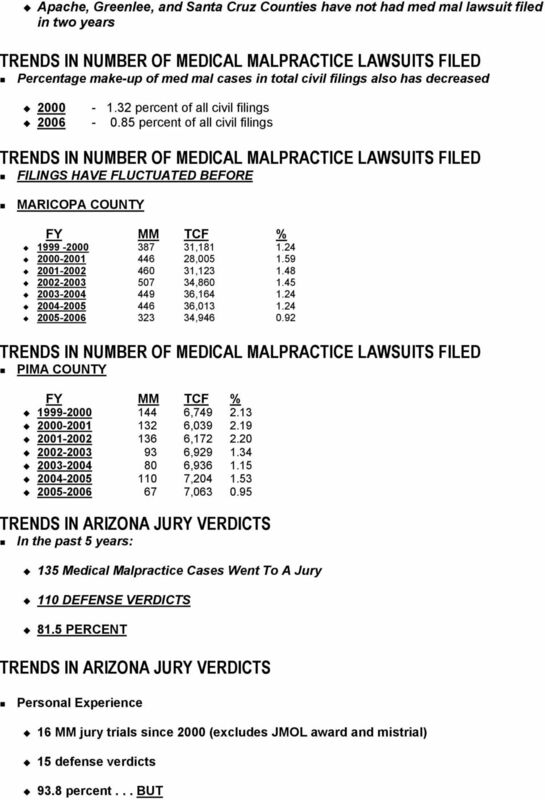 ARIZONA TORT CLAIMS ACT & IMMUNITIES INTRODUCTION. Claims against public entities and public employees require special attention. 21 st Annual Health Law Institute 2015-8635 March 13, 2015 Session #2 10:30 am 12:00 noon The End of Malpractice Litigation? Improving Care and Communications to Reduce Risk Charles J. Chulack, III, Esq. County products liability suit, and subsequently quashed Plaintiff s appeal to the Pennsylvania Superior Court. Virtual Mentor American Medical Association Journal of Ethics April 2007, Volume 9, Number 4: 300-304. 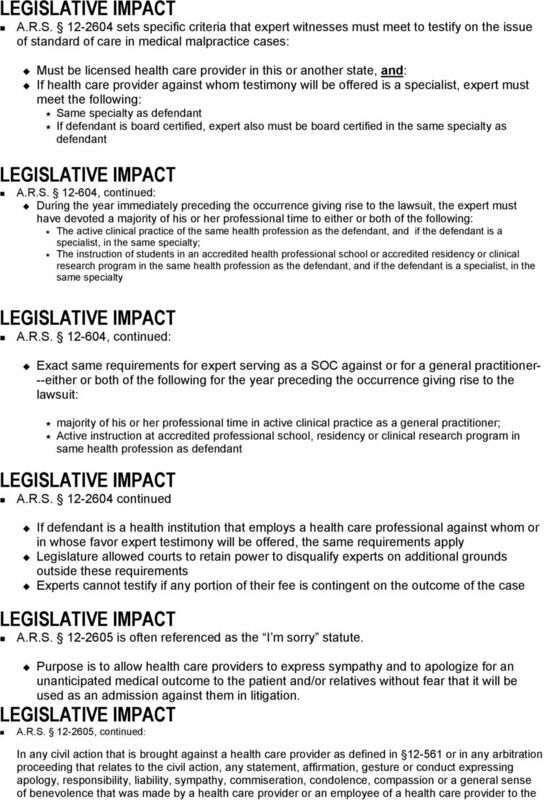 GENERAL PRACTICE LEGAL MALPRACTICE IN LIGHT OF TOGSTAD LIABILITY FOR CURBSTONE OPINIONS? CHAPTER 17. 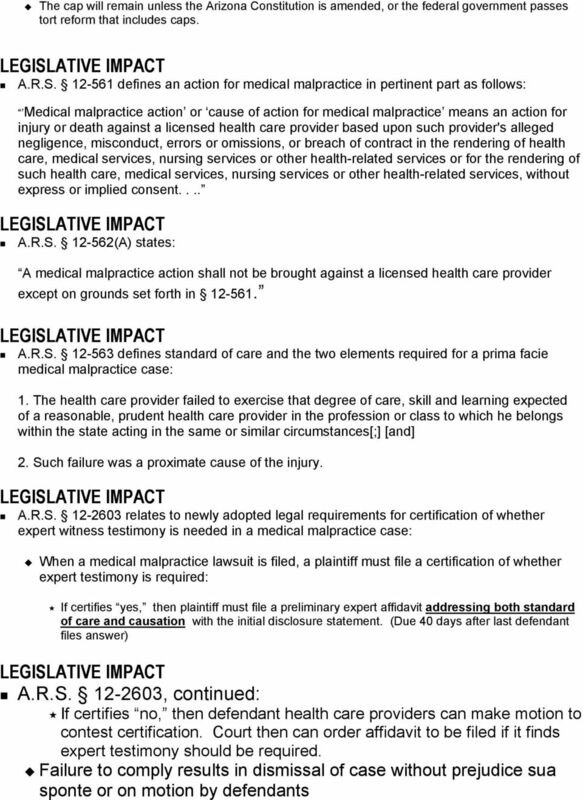 AN ACT concerning medical professional liability, insurance reform and patient protection and revising parts of the statutory law.